OKLAHOMA CITY (AP) - Negotiators for two Indian tribes and the state of Oklahoma say they have reached a settlement that would end a modern-day water rights dispute that has its roots in the 19th century. The Chickasaw and Choctaw nations have claimed Oklahoma isn't abiding by the 1830 Treaty of Dancing Rabbit Creek, which gives them authority over water in their jurisdiction. The state says the tribes are ignoring an 1866 pact in which they gave up certain rights after backing the Confederates in the Civil War. 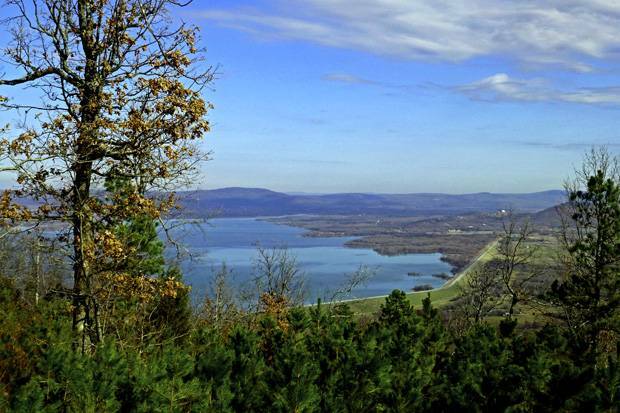 The current fight started in 2011, after Oklahoma City sought rights to more water from Sardis Lake in southeastern Oklahoma. Negotiators told The Associated Press on Wednesday that under the settlement, Oklahoma would still manage water supplies, but would acknowledge tribal sovereignty and meet the tribes' conservation guidelines. Congress must still approve the deal.